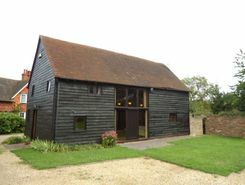 Traditional oak barn, one main bedroom, good rail links for London, rural but not isolated. Lovely open plan living area with galleried bedroom. Study/2nd bedroom. Fitted kitchen (small, with appliances). Ideal for a couple or single person. South-facing garden maintained by landlord. 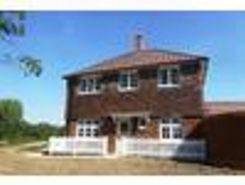 Spacious Detached House situated in a quiet corner plot overlooking fields on new development finished to a high standard with good size garden.Driveway with GARAGE with ample parking. Landscaped front garden, white picket fence leading up to front door. UPVC double glazed windows. Modern 1 bedroom apartment in beautifully presented river front building with stunning views. Central location! Just a few minutes walk to MLS and town centre amenities. Available early April. Property website TheHouseShop have used their expert knowledge of the Tonbridge in Kent property market to help buyers, sellers, tenants and landlords save money when advertising and searching for property available online. Estate agents, online-only agents, private sellers, private landlords and property developers can all list properties for sale and to rent on TheHouseShop.com, as it is the only property marketplace in the UK to accepts listings from both professional agents and individual homeowners. Estate agents, private sellers and private landlords can advertise all their properties on TheHouseShop's marketplace and reach the tens of thousands of home hunters visiting the site each day looking for property for sale and to rent in Tonbridge in Kent. Private landlords and sellers can make use of TheHouseShop's marketing options to generate more exposure for their property and quickly find the right buyer or tenant. Thousands of Tonbridge in Kent landlords are using TheHouseShop's free tenant-find service to advertise their rental properties to tens of thousands of renters. With a huge selection of private and professional rental properties available on TheHouseShop marketplace, renters can find flats, detached houses, terraced houses, apartments, bungalows, maisonettes and more. Tens of thousands of tenants visit TheHouseShop to find cheap property to rent in Tonbridge in Kent's most popular locations and can tailor their search to suit their preferred location, style of property and weekly or monthly rent budget. 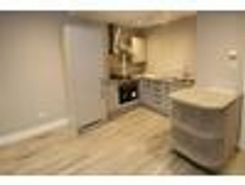 TheHouseShop has a selection of Tonbridge in Kent properties available to rent direct from private landlords including DSS rental property, landlords accepting pets, studio apartments, 2 bed apartments, 3 and 4 bed houses and more. Tenants use TheHouseShop to find a unique selection of rental property direct from landlords as they won't be able to find these properties to rent anywhere else online. 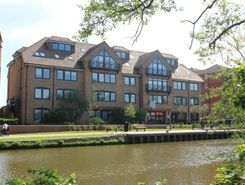 Renting property in Tonbridge in Kent is hugely popular and home-hunters can save money on administration fees by renting direct from the landlord. 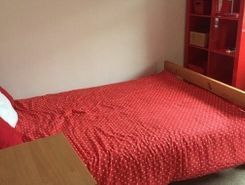 Tenants looking for cheap flat shares in Tonbridge in Kent will find a selection of affordable rentals in TheHouseShop's Flat Share section. Flat Shares can be a cheaper alternative to renting an entire property and are a great option for tenants looking for cheap rentals in Tonbridge in Kent's best areas. 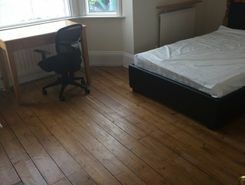 TheHouseShop's Rental Guarantor service makes it easier for Tonbridge in Kent renters to secure their dream property with the help of a guarantor based in the United Kingdom to reassure their landlord. Landlords can use our free online rental calculator to determine the perfect price for their Tonbridge in Kent rental property. Private landlords can also benefit from a range of landlord services including: tenant referencing, rent guarantees, tenancy contracts and landlord insurance products. Tenant referencing on TheHouseShop allows landlords to screen tenants with rental credit checks and affordability calculations to ensure they find the best tenants for their rental properties. People looking for rental homes in Tonbridge in Kent can create a property alert on TheHouseShop.com and receive email updates anytime a new property to rent appears on the site. Landlords and investors can find a selection of cheap Buy To Let investment properties available from private sellers, developers and estate agents in Tonbridge in Kent.